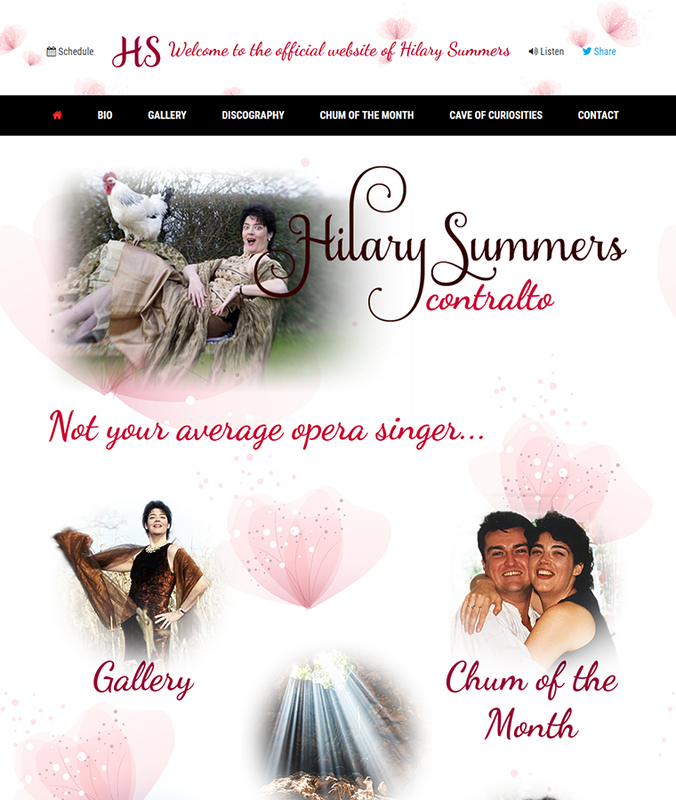 Hilary Summers is a well known Welsh contralto. Hilary is famous for her appearance in opera productions around the world, and numerous soundtrack recordings she has done, including The Lord of the Rings and The Libertine. This website design was specifically created to be fresh, fun and a little camp! The white backdrop with pink feathery blossoms, coupled with the swirly theatrical font, certainly assist in making this website stand out from the crowd. Choosing the right web design for you! The Hilary Summers website perfectly captures the humour and talent of this unique artist. Yes, the website has its frivolous areas that make you laugh out loud, but it also showcases the huge operatic experience she has achieved, even allowing you to indulge in a few examples of her vocal work. An experienced web design company in Toronto will always listen carefully to your requirements and ideas. They’ll also ask more about you or your company, and ultimately what your on-line objectives are. Once they have this information they’ll be able to suggest different design solutions to you that fit in with your objectives and of course your budget.